Last week I headed to Tamborine Mountain State School to work with the Principal, Mr. Jason Smith. I always enjoy heading back to school and creating murals which both the teachers and students can enjoy. Mr. Smith wanted the murals to present the school motto, add some colour to the school and remind the students it’s cool to go to school! 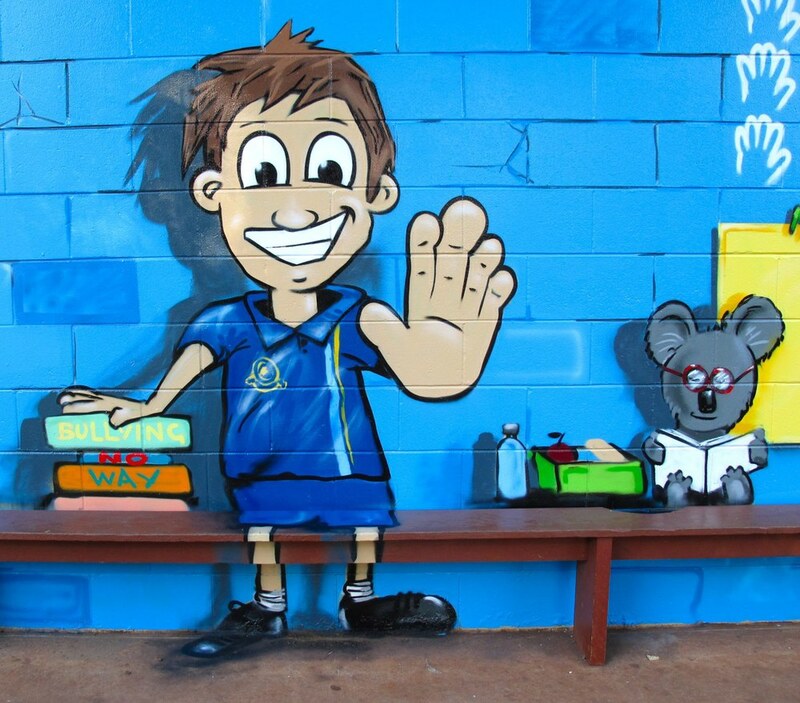 The Cultural Arts mural is my second visit to Tambourine Mountain State School this year and it is always a pleasure to work with such an appreciative client. I first met Mr Smith in Blackhall, where he helped create a positive learning environment for Blackhall State School. Mr Smith and I planned this Cultural Arts mural to represent all the different artistic endeavors the school is involved in. The award winner school choir is even featured in the background. I need to give an extra shout out to the supportive tuck-shop personnel, as they put on a tasty spread for a working lad.